Karolina Pliskova is not yet in possession of a driver’s licence – but a dream car. By winning the Porsche Tennis Grand Prix, the 26-year old Czech received, alongside the prize money and world ranking points, a 718 Boxster GTS as the main prize. The digital match analysis serves not only to entertain. With SAP’s help, coaches like Wim Fissette, who now works with Angelique Kerber, can access data to influence matches and make practice sessions more systematic. What counts in sport is mental strength. It is the only way to cope with the ups and downs. One could fill whole posters with one’s thoughts in such times. Angelique Kerber did just that for us – and highly enjoyed herself. 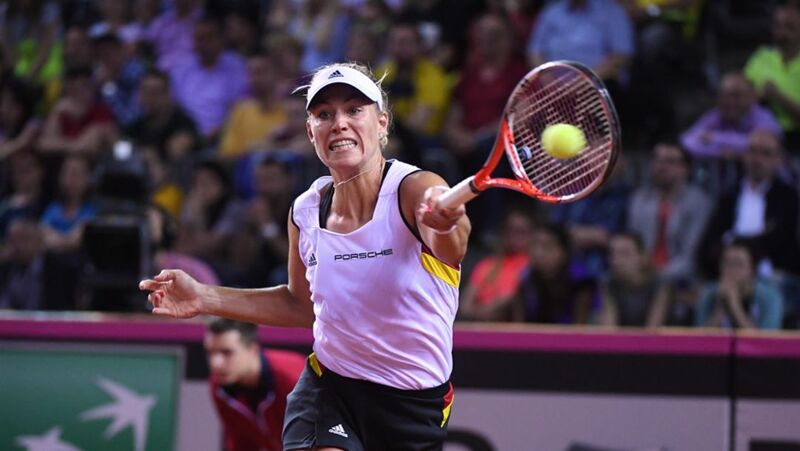 A good piece of news for all tennis fans - when Porsche Team Germany meets the Czech Republic for a place in the Fed Cup final in Stuttgart's Porsche Arena on 21 and 22 April, Angelique Kerber's matches can be watched live without any additional charge. The Porsche Tennis Grand Prix will present the world's crème de la crème in Stuttgart from 21 to 29 April. Porsche Team Germany has started the 2018 Fed Cup season with a major success. Two days before the Australian Open gets underway, the Porsche Brand Ambassador has crowned her fabulous start to the season with a tournament win. Porsche Brand Ambassador Julia Görges has kicked off the 2018 tennis season with a win.